Could Your Garden Make You Money? We’ve been through a tough few years in the UK in terms of the economy. Chances are we may have a few more tough years to come with such issues as the uncertainty that surrounds the UK’s decision to leave the EU and international terrorism. This has led to more and more people looking for ways to make more money to see them through the tough times. People are taking on second jobs, lodgers or downsizing to release more cash. Many people are now deciding to turn their homes into B&B’s, so much so there’s even a Channel 5 series about it, ‘To B&B the Best’ in which an experienced hotelier helps householders maximise their income by renting rooms out. 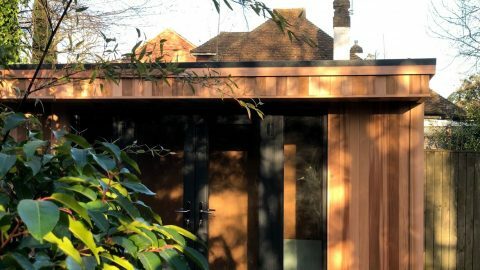 It can be very simple to do and very lucrative too, but what if you don’t have a spare room to rent out? 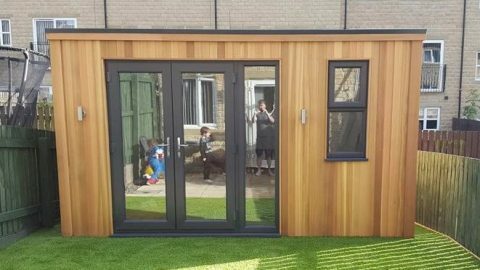 If you have a reasonably sized garden then investing in a garden room could be one of the most financially savvy decisions you ever make. 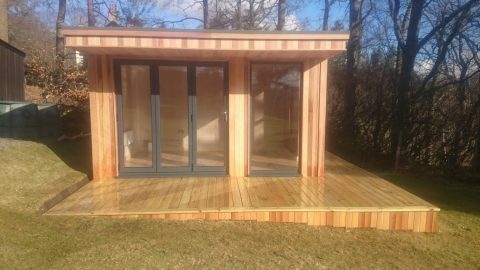 Thanks to the modular nature of modern garden rooms, you can be as creative as you like having one self contained room with a toilet to multiple bedroom units with kitchens and shower rooms. 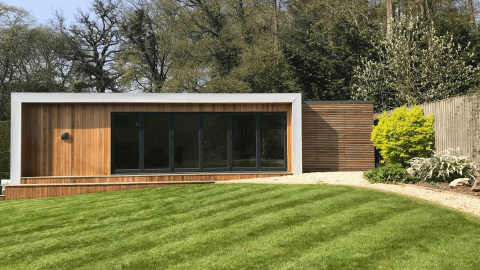 Modern garden rooms can easily be connected to gas and electric services which means potential guests can stay in them and have all the luxuries of home including TV, WiFi, bath and shower. 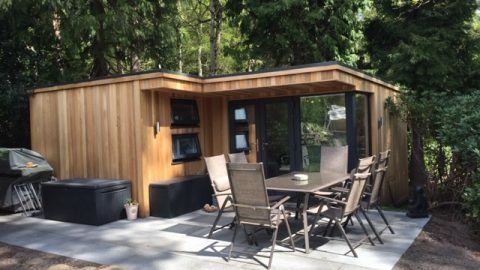 Kitchen spaces can be fully kitted out with ovens, cupboards dishwashers and fridges. 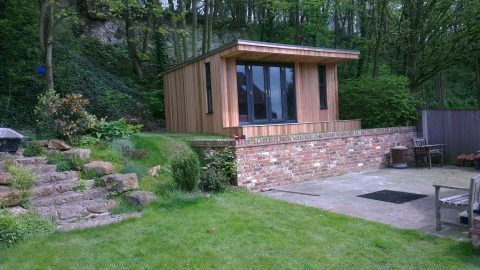 Any outlay that you make in investing in a garden room can soon be made back by renting it out as a guest room. The closer you are to a particularly popular town or area the more you will probably be able to charge and it is always useful if you have businesses nearby who get lots of visitors as these can be a valuable source of income. Let’s say you charge £70 per night and you manage to rent it out 3 nights per week. That’s £210 per week, £840 per month and £10,080 per year! 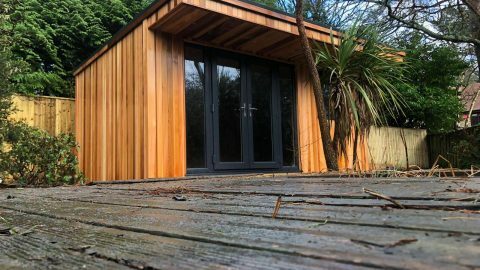 Unlike a traditional small guesthouse in which you have to share space with your guests, having a garden room accommodation unit gives both you and your guests privacy. 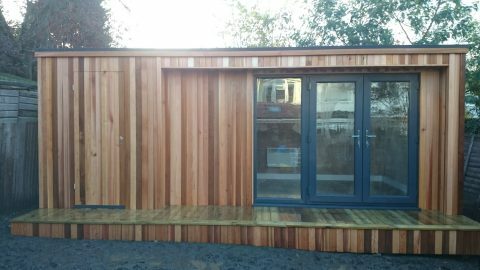 Depending on the layout of your garden you may even be able to give them separate access to the room as well as their own bit of garden. If so, you may even be able to rent it out for more money! 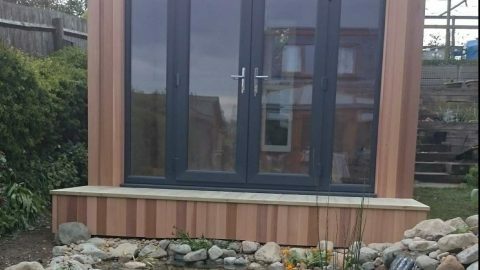 All in all investing in a modern garden to be used as paying guest accommodation could turn out to be one of the best financial decision you ever make. A regular, predictable and passive source of income, it soon pays for itself and can be a significant boost to your salary or pension.